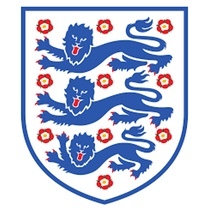 England Football Accessories - Order Today! Welcome to your one stop shop for England Football Accessories which would help you express your country pride to the limit. Browse through our vast collection of official England football merchandise purchased from the manufacturers such as Nike. From wearable to homeware and equipment, you are sure to find what you are after here. Suitable for a range of ages and budgets you can increase your pledge of allegiance to the Three Lions in style today. And don’t forget that you can take advantage of our UK next day delivery services and worldwide courier options too as well as a click and collect method! National team merchandise is always designed based on the colours featured in their country flag. Therefore, when shopping through our wide selection of official England souvenirs you will discover a running theme of red and white to replicate the colour scheme of the St Georges flag. We also have a variety of stock based on the colouring of the crest too which is red, white and blue. So because of this, each season’s release will be of a similar appearance which makes shopping on a budget much easier as you can order older stock for a reduced price but still showcase the England colours magnificently. For supporters young and old, you can get hold of a tri-fold Velcro wallet with the England emblem emblazoned on the front. This would be ideal to store your pocket money or cards and cash for while you are on the move, and they also act as a great conversation starter too. You can also purchase novelty England sunglasses that have the St Georges flag situated on the front of both lenses. Perfect for the smallest of soccer fans, you can purchase England baby accessories adorned with the national team crest. We have a soft bear and beanie bears available in a range of colours and designs so that you can have a selection. Along with this there is also a set of baby dummies which you can buy too which would make a fabulous gift for a young child’s birthday. For the car or bedroom, there is a range of England football souvenirs in stock which can help your enhance your pledge of allegiance. You can order a pair of novelty boxing gloves which come with suction hooks to mount them onto the window. These also come as part of the car celebration set too along with two England flags, window stickers, air freshener and aerial topper. And on top of all this, you can also get a keyring for your car keys, which is in the shape of the England crest. Suitable for use in the comfort of your own home or take it to work or college, an England football mug is a fantastic gift for any supporter. Along with this, you can also add to your breakfast collection by ordering a cereal bowl and egg cup adorned with the three lions too. Ideal for young and adult supporters, you can purchase a selection of England national team bottles too for on the go. A brilliantly decorated drinks bottle with included hand grip means that you are able to stay hydrated while you are on the move and show off the England emblem. As well as this, you can also update your babies feeding bottle with one featuring the infamous three lions too so that the whole family can spread the feeling of support for their favourite squad. Enabling you to practice your soccer skills while showing off the signature colour scheme of the England national team, you too can own a ball decorated with their crest. Mainly produced in a size 5, you can get your hands on a variety of footballs in a number of designs. No matter where you are going, be sure to carry your essentials or kit in style by purchasing an England backpack or gym sack emblazoned with the English national football team crest. Perfect for school or the gym; don’t be caught out without these high quality accessories. For displaying at matches or wearing in the winter, scarves are a great choice to keep you warm and well on your way to reaching your optimum display of support. Along with this you can also order the winter and summer hats we have stocked to keep you warm and shielded depending on the weather outside. You don’t need to attend the games at Wembley to adorn yourself in football merchandise and gifts. Show your support while watching at home or in the pub with a selection of football memorabilia ordered from Soccer Box. Shopping at Soccer Box is hassle free. A range of shipping options are available, including express and international enabling you to support the team from anywhere in the world. Make us your 1st choice, shopping destination for all England accessories and merchandise! Within the England Special Offers page you can grab a bargain on previous season’s authentic replica sportswear which is perfect for collectors and those on a budget. However, you can also find the latest kit within the team’s category and can keep in the loop with latest launches by signing up to your newsletter. Other great benefits are available with this sign-up too such as exclusive coupon codes and pre-sale access before anyone else.